Tendentially sandy soil, consisting of detritic materials resulting from the detachment of the green tufo Epomeo. Medium and high slope with terraced vineyards. West prevailing exposure. Height from the bottom of the wharf wire 60cm. Distance between plants 100cm and between rows 130-160cm depending on the width of the terrace. Plant density of about 6000 plants per hectare. Production from 8 to 10T / Ha. Generally collected at the end of September, beginning of October. The grapes harvested in small boxes are dirasped and macerated in steel tanks at 10 ° C for 12 hours to facilitate the extraction of skins, mainly of varietal aromatic characteristics. The mass is then pressed and the must fermented in steel tanks at a temperature of about 18 ° C. After fermentation the wine is immediately shed. Finally, the product remains in steel on fine lees for at least 3 months and then filtered and bottled by the end of March. The grapes come from terraced vineyards of Ischia and Forio, all characterized by good exposure and ventilation. The mature whitish protected by the coolness of the altimeters of the sites that allow to preserve the particular aromatic varietal characteristics electively. The wine is a product of the characteristic straw yellow color more or less intense depending on the vintage. It is fruity with spicy, sapid, important, pleasantly amarostic characteristics, even though it is beautiful and persistent freshness. It is a product to be combined with fish dishes or delicious first courses. It's a great aperitif. Biancolella is the most significant autochthonous vine of the Island of Ischia. Harvested at the right degree of ripeness. 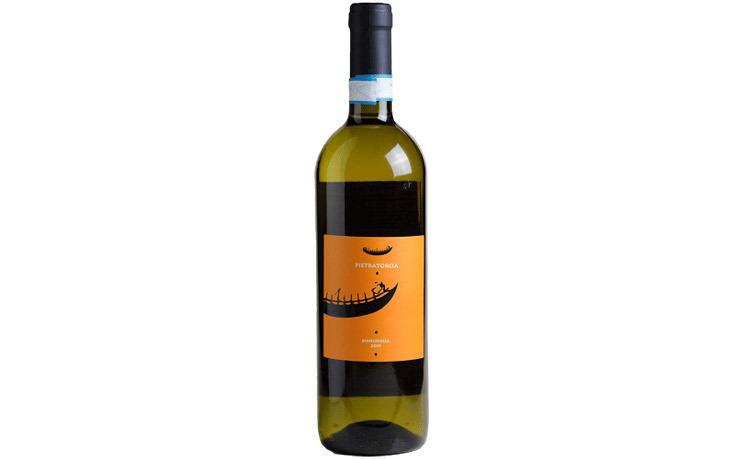 - Blend: Biancolella - Production area: Tenuta Calitto, Vigna Baiola, Vigna Citara, Vigna Cimento Rosso, in the municipality of Forio, at 150 – 300m above sea level in the western part of the Island. Sold in 6-bottle cartons. Straw yellow color with light greenish reflections. Taste dry and long, pleasantly salty. Typical source grapes with scent of green apple and aromatic spices. It's a great aperitif.